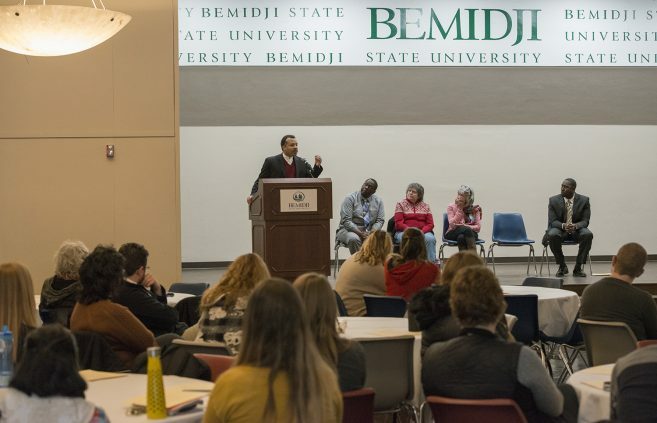 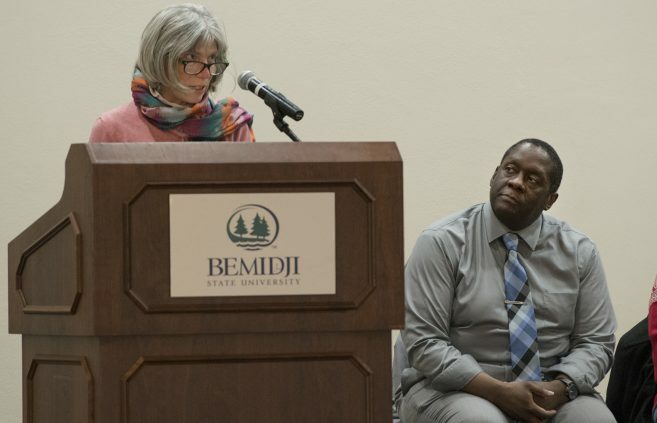 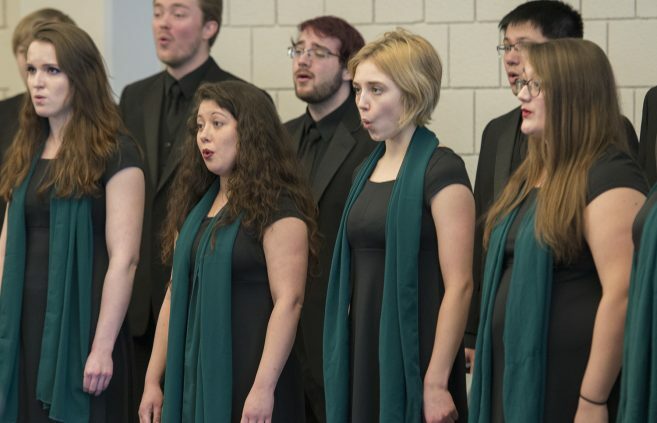 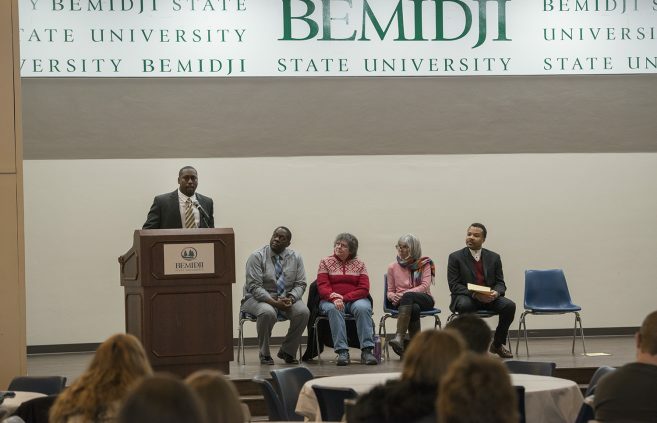 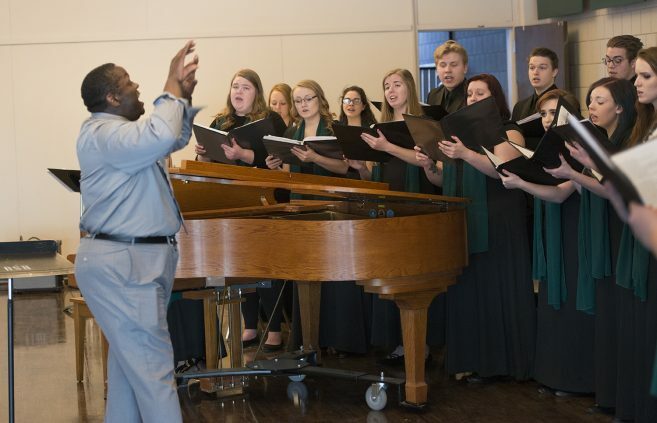 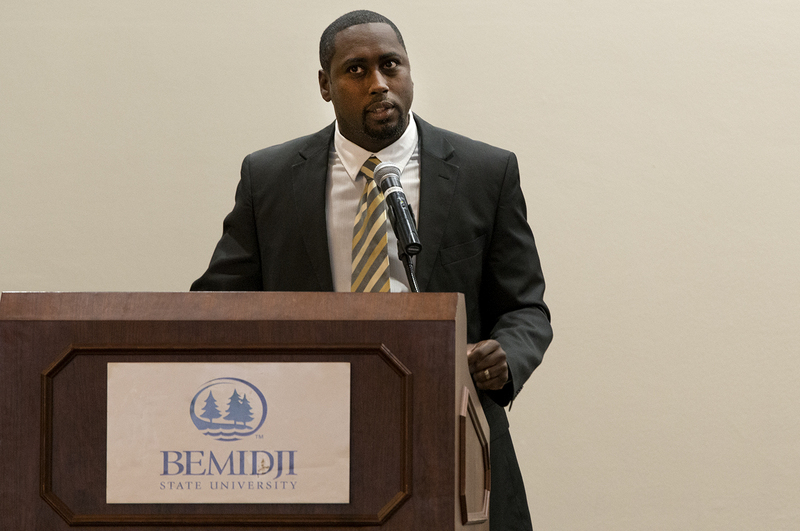 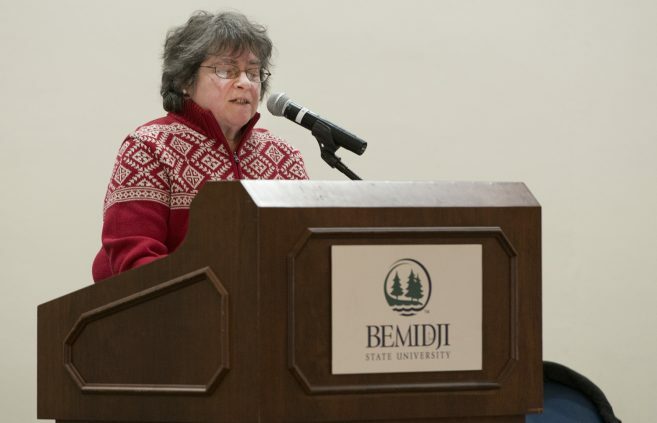 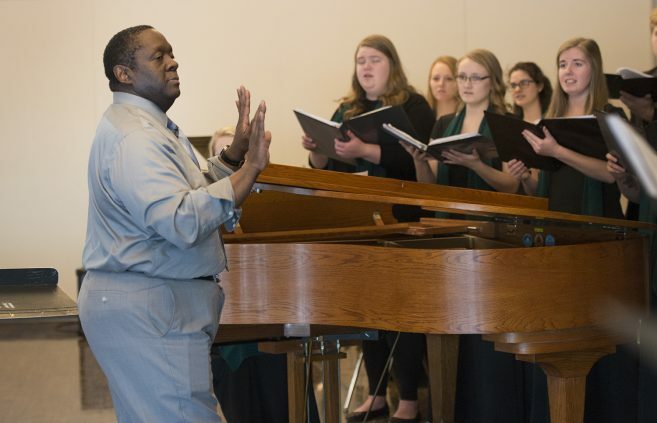 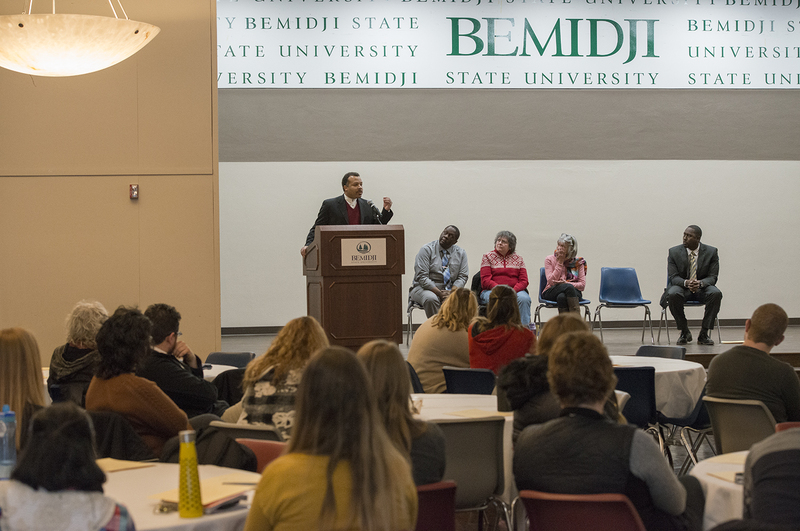 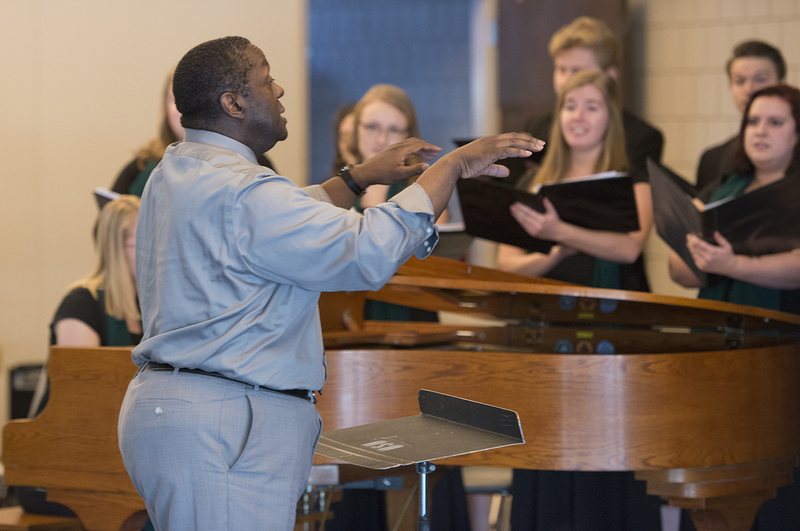 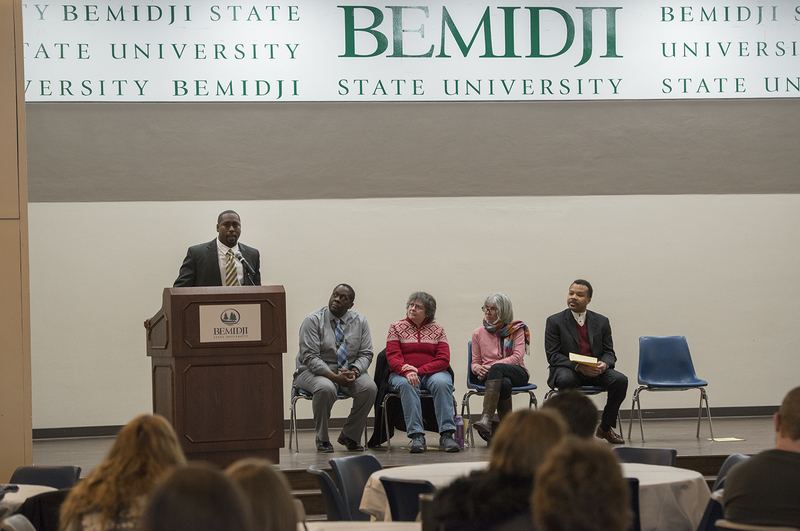 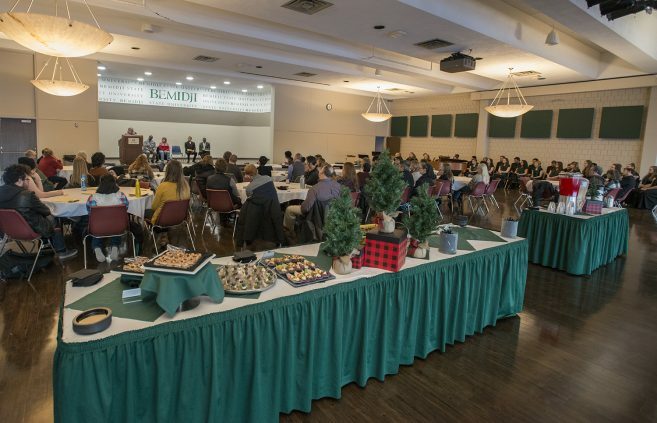 Home » BSU News » BSU Celebrates the Life of Martin Luther King Jr.
BSU Celebrates the Life of Martin Luther King Jr.
Bemidji State University honored the Martin Luther King Jr. holiday with a celebratory program reflecting on his life and legacy. 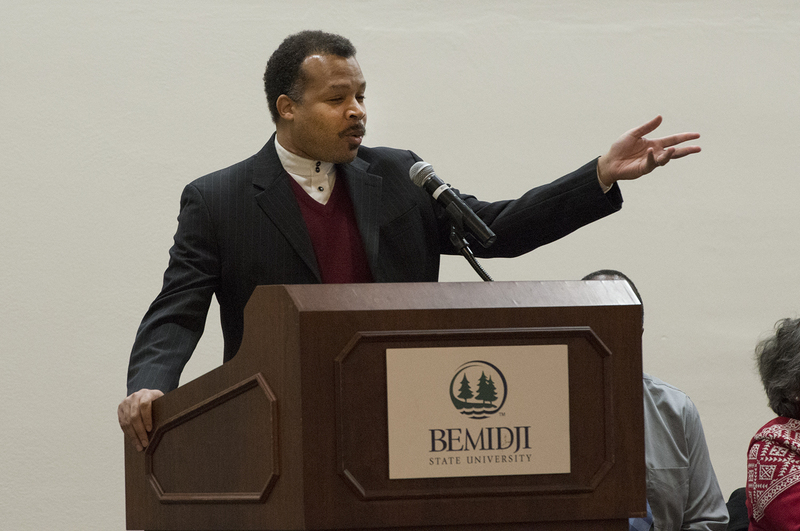 Assistant Professor of Business Administration David Frison reflecting on the speeches and legacy of Dr. Martin Luther King Jr.
Becky Lueben ’75 reflecting on Dr. Martin Luther King Jr. 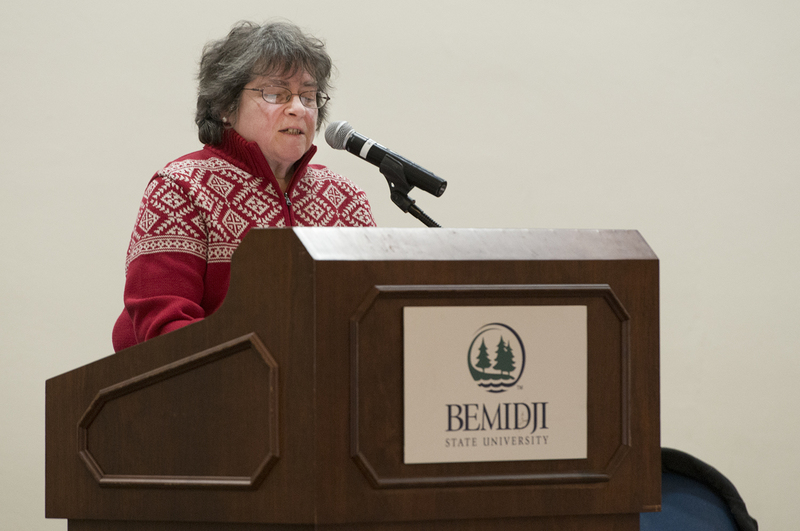 Professor emeritus Mary Reitmeir reflecting on Dr. Martin Luther King Jr. contributions to the landscape of America. 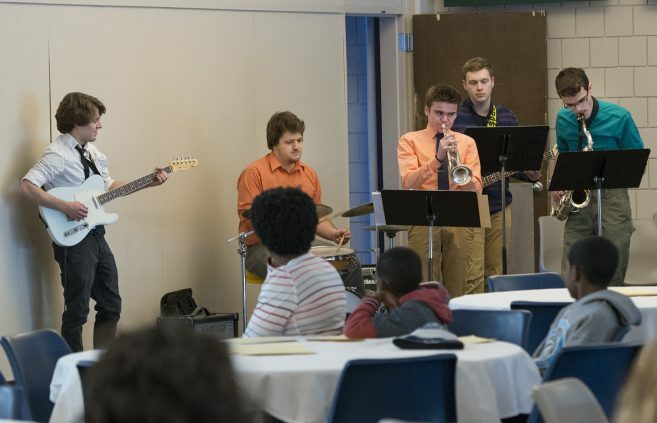 The BSU jazz band performing in honor of the the life and legacy of Dr. Martin Luther King Jr. 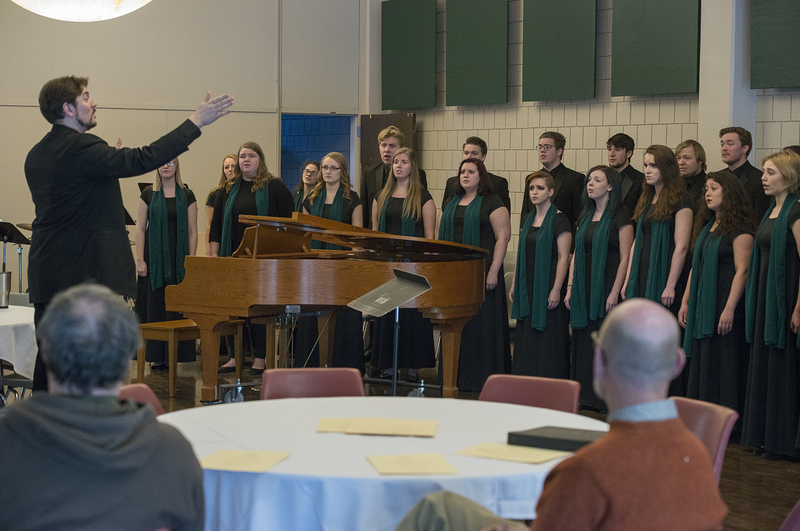 The Bemidji Choir, conducted by Dr. Dwight Jilek, director of choral programs at Bemidji State University. 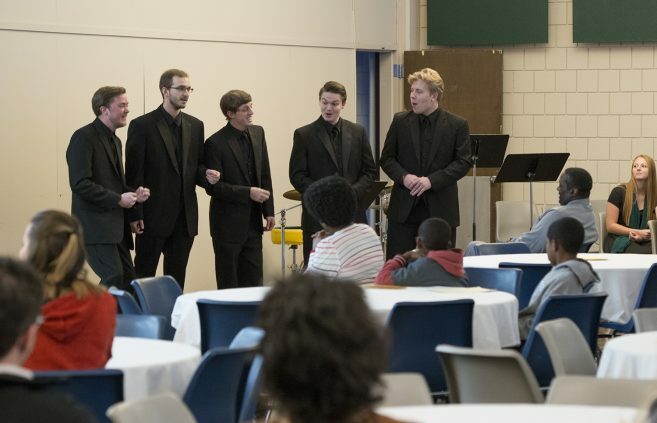 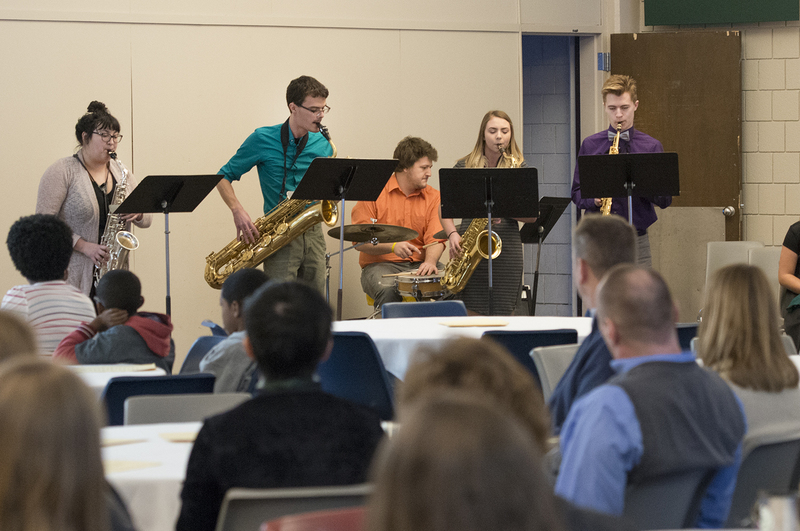 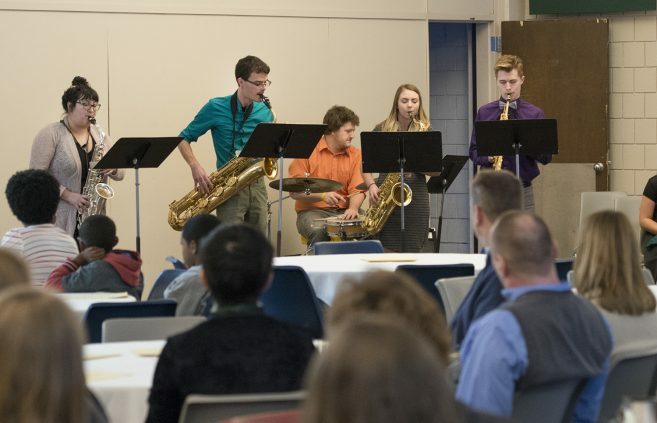 The program was held in the Beaux Arts Ballroom at 4 p.m. on Jan. 17 and featured reflections by alumni, current and retired BSU faculty members and performances by the BSU jazz band and choir. 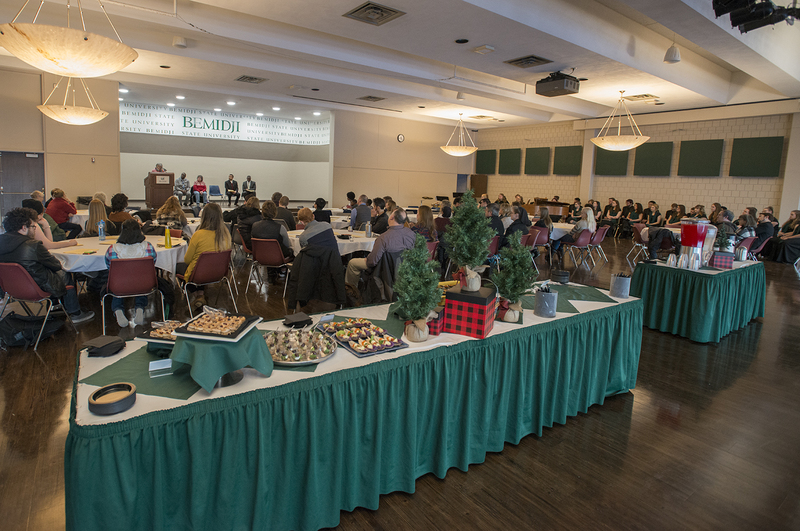 The program led into a 5 p.m. social welcoming Dr. Ye (Solar) Hong as the new coordinator for the Center for Diversity, Equity and Inclusion.